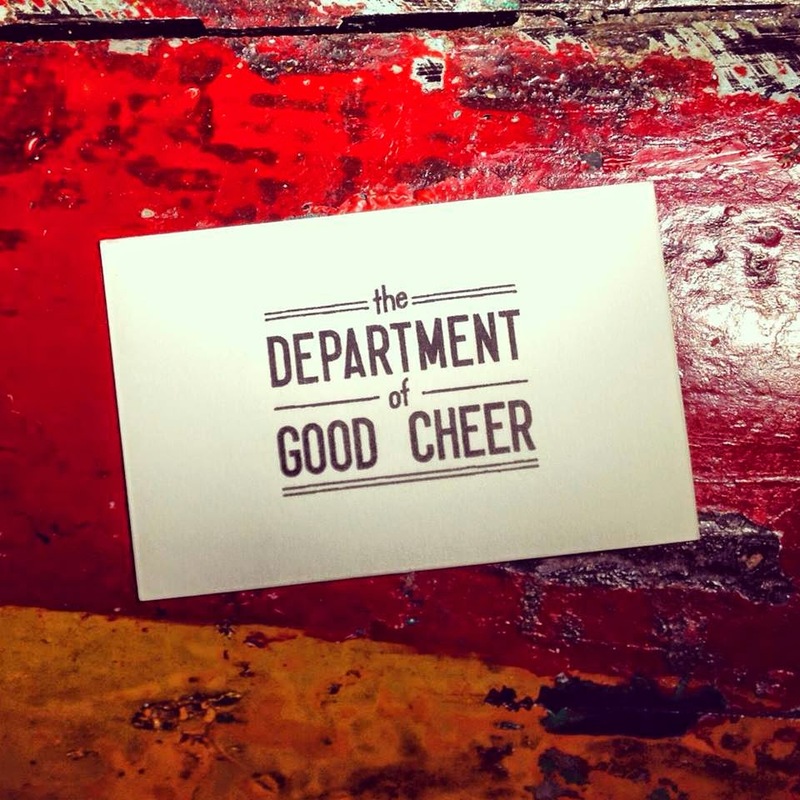 This summer The Department of Good Cheer is opening a cocktail bar under the Royal Festival Hall on the South Bank. The DoGC, who regularly has events at The Doodle Bar in Battersea, will be open daily from 28th June to 31st August, and will also feature art and special events. "The Department of Good Cheer (DoGC), a London based collective of bartenders united in their appreciation for well mixed drinks, have announced that they will be bringing their cocktail artistry to Southbank Centre’s Festival of Love, which opens on Saturday 28th June and runs until 31st August. Bar opening times will be Sunday to Wednesday 11am - 8pm and Thursday to Saturday 11am - 11pm. DoGC has created a bespoke drinks menu for the two month residency that spans a pastiche of pop and culture from the 1950s to present day, whilst adhering to their love and respect for boutique spirits and hand crafted infusions. The bar will be in Southbank Centre’s Festival Village, under Queen Elizabeth Hall, which has been renamed Heartbreak Hotel for the duration of the festival and styled as a 1970s motel. The space will feature a neon sign by artist Chris Bracey, an exhibition of responses from Jackie magazine Agony Aunts Cathy and Claire and the I Think I Love You Lounge – a dress up karaoke lounge by Jessica Voorsanger with portraits in oil as inspiration. After learning closely about the distillation process, DoGC cut shaking from their menu for Southbank Centre’s Festival of Love, preferring to use precise measurements of mineral water to keep the drinks consistent and control the level of dilution completely. They also worked closely with a London based distiller to create several infusions and blends, which will bring a unique and dynamic element to each cocktail served this summer. From Wednesday 23rd July DoGC will also be hosting a variety of weekly events including food pairings, whisky & gin tastings and cocktail master classes as part of Southbank Centre’s Festival of Love. Please visit http://departmentofgoodcheer.com/ for details and information about how to purchase tickets."